In 1942 during World War II, Claiborne was admitted to practice in his home state of Arkansas, but since the war had just begun, he enlisted in the United States Army and was sent to the Santa Ana Army Air Base. He served in the military police force. Inspired by his father’s stand against the Klu Klux Klan, Harry claims to have refused to go along with the internment of Japanese Americans in camps, and was punished for doing so. By 1943, Claiborne was promoted to warrant officer and transferred to what is now Nellis Air Force Base near Las Vegas, Nevada. His job was to investigate AWOL (absent without leave) incidents. Later, he guarded prisoners and supervised the military police who patrolled downtown Las Vegas. He was briefly stationed in New Mexico and then Massachusetts. Claiborne was issued a train ticket home to Arkansas in 1945, but he instead opted to go to Las Vegas. Within a day of arriving, he secured a job as a patrolman for the Las Vegas Police Department. By 1947, he was admitted to the Nevada state bar and was working in the Clark County District Attorney’s office. He was later the chief deputy district attorney for Clark County (1946-1948) and served as a state assemblyman in 1948. That same year he also served as city attorney for North Las Vegas. After entering private practice Claiborne quickly became a well-known defense attorney in Las Vegas. Claiborne not only represented many police officers in legal matters without charge, but helped establish the police protective association in Las Vegas and was instrumental in securing the passage of legislation providing for civil service status for policemen and firemen by the Nevada legislature. He was considered one of Nevada’s top defense lawyers, representing many prominent people with ties to Las Vegas. Frank Sinatra and Dean Martin hired him for casino licensing matters. Judy Garland, Carol Burnett, and one of Errol Flynn’s wives came to him for divorces. He represented several mobsters like Bugsy Siegel and Frank “Lefty” Rosenthal. He also represented Giuseppe “Joe” Conforte, the owner of the Mustang Ranch brothel, and Benny Binion, owner of the Horseshoe Casino. Claiborne was a flamboyant attorney who would frighten other lawyers by carrying in large stacks of papers that he passed off as his evidence in the case, but in reality the papers in the folders often were blank. In 1974 and 1975 Claiborne served as a special assistant to the United States Senate Committee on Rules and Administration during the historic hearings on Nelson Rockefeller’s nomination to the vice-presidency. On 25 July 1978, President Jimmy Carter nominated Claiborne to a seat on the United States District Court for the District of Nevada vacated by Bruce R. Thompson, on the recommendation of Claiborne’s former opponent, Senator Howard Cannon. During the appointment process, on 8 August 1978, a hearing was held before the United States Senate Committee on the Judiciary concerning his qualifications and background. 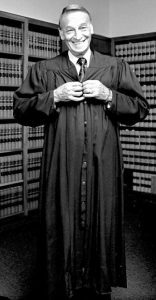 At the start of that hearing, the acting chairman, Senator Dennis DeConcini, stated for the record that he had been advised that a “substantial majority” of the Standing Committee on the Federal Judiciary of the American Bar Association was of the opinion that Claiborne was “well qualified” for appointment to the federal bench; a minority of the Bar Association’s committee found him not qualified on the sole ground that Claiborne was, at that time, sixty-one years of age. Although not part of any official Senate proceedings, other sources note that Claiborne was unique as a federal judge, given that most federal judges had experience as assistant U.S. attorneys. He also maintained a close friendship with former client Benny Binion, a casino owner and convicted murderer; the two men frequently ate lunch together. Moreover, Claiborne was known for cashing large checks at Las Vegas casinos and had a “reputation for liking whiskey and flashy women.”[“Harry Eugene Claiborne”, The Encyclopedia of Arkansas History and Culture, The Central Arkansas Library System.] Claiborne was confirmed by the United States Senate on 11 August 1978, received his commission the same day, and was sworn in on 1 September 1978. He served as chief judge from 1980 to 1986. In April 1977, Joe Conforte – one of Claiborne’s former clients who owned a well-known Reno, Nevada, brothel called Mustang Ranch – was arrested on 10 counts of income tax evasion and faced a minimum five years in prison and $10,000 fine. He appealed his conviction but fled the country in 1980 when he lost the appeal. Just before fleeing in December 1980, Conforte contacted a prosecutor and offered to become a federal witness against officials he said he had bribed. The most prominent name on Mr. Conforte’s list was Harry Claiborne. Conforte claimed he paid Claiborne $85,000 in bribes to give to federal appeals judges to reverse his tax conviction and quash the subpoenas of two prostitutes in a federal investigation into voter fraud. Ultimately, following a federal grand jury, Claiborne was indicted on bribery, fraud, and tax evasion on 8 December 1983. In April 1984, however, the jury deadlocked and a mistrial was declared, primarily because Conforte’s bribery testimony did not hold up in court. At Claiborne’s second trial in July 1984, prosecutors dismissed the bribery charges and proceeded only with the tax charges, which did not involve Conforte. Claiborne was ultimately convicted the next month for failing to report more than $107,000 on his 1979 and 1980 federal income tax returns, money he earned as a lawyer before his appointment by President Carter in 1978. Prosecutors alleged that the judge had hidden thousands of dollars in attorneys fees from the IRS after he was appointed to the federal bench in 1978. On 10 August 1984 Claiborne was found guilty in the U.S. District Court of Nevada for tax evasion, fined $10,000, and sentenced to two years in prison. He became the first federal judge ever convicted of crimes while on the bench and the first federal judge to be sent to prison. On 16 March 1986 Claiborne began serving his prison sentence in a federal prison at Maxwell Air Force Base in Montgomery, Alabama. He was there for seventeen months until October 1987. When Claiborne entered prison on 16 March 1986 for tax evasion, he intended to return to the bench two years later and therefore did not resign his judiciary post. As a result, he continued to receive his salary of $78,700 a year. This brought considerable controversy and pressure on some in Congress to remove him. However, the United States Constitution allowed only one method for removing a federal judge: impeachment. On 22 May 1986, Rep. F. James Sensenbrenner, Jr. (R, WI) called for impeachment. On 3 June 1986 Rep. Peter Rodino (D, NJ) introduced H.R. 461 calling for impeachment of high crimes and misdemeanors. The resolution was referred to the House Judiciary Subcommittee on Courts, Civil Liberties and the Administration of Justice. The subcommittee approved the impeachment articles on 24 June 1986. On 22 July 1986 the United States House of Representatives adopted H.R. 461, voting to impeach Claiborne on a 406-0 roll call. As a unanimous vote, Claiborne’s fellow Nevadans, Reps. Harry Reid, a Democrat, and Barbara Vucanovich, a Republican, also voted for impeachment. Claiborne became the 14th federal official to be impeached by the U.S. House and the first to be impeached on a unanimous roll-call vote. While his impeachment was historic, the debate and final action on July 22 was anticlimactic. No on really doubted that Claiborne would be impeached or that it would be unanimous. On 6 August 1986 the U.S. House presented articles of impeachment to the U.S. Senate. When the U.S. House formally presented the Senate with the four articles of impeachment against Claiborne on 6 August 1986, it set the stage for the first U.S. Senate impeachment trial in fifty years. House Judiciary Chairman, Rep. Rodino, was joined by eight other House managers and read each of the articles “to an unusually somber Senate. About 40 senators were in their seats listening.” Vice President George Bush presided over a ceremony where members of the Senate took a special oath for the impeachment trial. 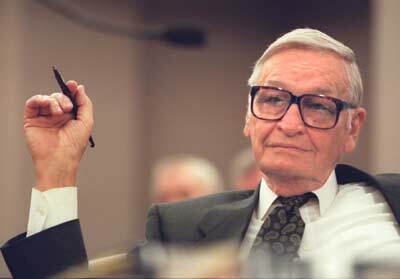 The only one absent was Arizona Senator Barry Goldwater, who was ill.
Rather than convening the entire Senate into a High Court of Impeachment, the Senate agreed that evidence in the Claiborne impeachment trial would be heard, first, by a 12-member panel created for that purpose. Acting upon a Senate rule adopted in 1935, but never used, the Senate Impeachment Trial Committee examined evidence and heard testimony before reporting its findings to the full Senate. All previous impeachment trials had been conducted before the full Senate. The Senate ultimately decided to use the special committee because Senate leadership did not believe there was enough time for the full Senate to hear all the testimony and wanted to avoid postponing the trial to a lame-duck session or until the next Congress. The historical importance of the Claiborne case came not in the debate over his guilt or innocence, which had been decided in a court of law, but in the procedural precedents set in the impeachment trial, particularly in the first use of a Senate trial committee. After the conviction, citing the use of a Senate trial committee instead of the entire Senate, Oscar Goodman said, “Harry Claiborne is no longer the fight. The fight is whether the Constitution is worth the paper it’s written on. It is a fragile document. Today it was bruised if not broken.” Goodman also accused several senators of not properly reviewing the committee transcripts. Claiborne was allowed to begin practicing law again in Nevada in 1987, in a decision by the Nevada Supreme Court that implicitly questioned the federal prosecution. His attorney was future Las Vegas Mayor Oscar Goodman. Despite his tax conviction and removal from the bench, Claiborne remained respected in the Las Vegas legal community. Claiborne was diagnosed with prostate cancer in 1990 and it later spread to his groin and spine. He had a heart attack in 1991. He treated his cancer with a combination of radiation and herbs he took three times daily. By 2003, the cancer returned to his liver, he was in considerable pain, and he had progressing Alzheimer’s Disease. Harry married (1st) Barbara Redfield and the pair had three children, listed below. [Much of the information regarding Harry’s descendants is based upon email conversations between Dr. Nancy Claiborne and Joshua Andrew Claybourn in 2006 and 2007. 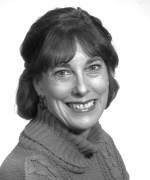 All pictures of Harry’s descendants are courtesy of Dr. Nancy Claiborne, as well.] Harry married (2nd) Lee McGuire, (3rd) Lynn O’Day, and (4th) Norma Ries. Carol Ann Claiborne was born on 19 July 1946 in Las Vegas, Nevada. She married (1st) Ronald Edward Martin on 11 December 1964 in Las Vegas, Nevada. [Ronald Martin was born on 26 April 1946 in Las Vegas, Nevada.] The two had one child, Roni Renea Martin. Carol married (2nd) Harold Alan Gough Scott on 26 October 1980 in Las Vegas, Nevada. She then married (3rd) Merle Edward Johnson on 1 September 1995 in Little Rock, Arkansas. Roni Renea Martin was born on 24 August 1966. She married first in December 1988 in Las Vegas, Nevada, to Steven Anthony Mueller (born on 20 July 1965) and they later divorced on 17 April 1995. She married second on 21 February 1997 in Las Vegas to Clyde Ray VanBebber (born on 8 August 1962, died in 2005), and they divorced not long after on 20 April 1998. Roni married third on 21 January 2006 in Gatlinburg, Tennessee, to Gary Lee Carlson (born on 4 July 1968). 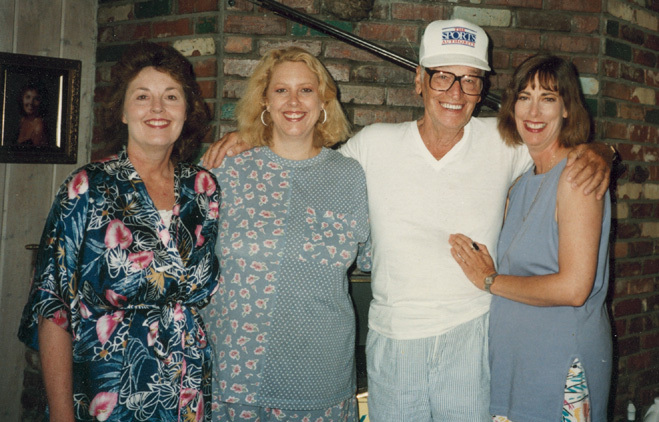 Left to right: Carol (Claiborne) Johnson, Janice (Claiborne) Kollander, Harry E. Claiborne, and Nancy Claiborne. Janice Claiborne was born on 19 March 1948 in Las Vegas, Nevada. She first married to John Ulrich Rubin on 20 July 1971 in Reno, Nevada and divorced on 7 May 1974. [John Rubin was born on 4 September 1927 in Montreux, Switzerland. He died on 27 April 2013 in Las Vegas, Nevada.] The two had no children. Janice married second to Robert Henry Muenzer (born on 4 July 1948 in Chicago, Illinois) on 5 October 1974, in Pacific Palisades, California. Robert died on 26 June 1995. The couple had two children, Christine and Michael, listed below. Janice married a third time on 26 April 2003 to Ira Mikhael Kollander (born on 13 April 1941 in New York City, New York). Ira died on 21 November 2009 in Garden Grove, California. 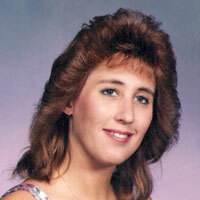 Christine Muenzer was born on 29 August 1979, in Van Nuys, California. She married Tyler Heer and they divorced in May 2003. She married a second time on 18 March 2015 to Christopher John Wilson (born on 5 December 1981 in Seattle, Washington). Michael Muenzer was born on 7 September 1983, in Newport Beach, California. 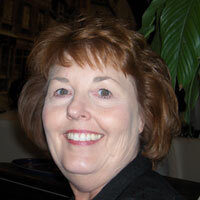 Dr. Nancy Claiborne was born on 28 August 1949 in Las Vegas, Nevada. She lived for much of her life in Palatine Bridge, New York, where she worked as an associate professor at the University at Albany. There she served as director for the Center for Human Services Research. Nancy obtained a Ph.D. from the University of Houston’s graduate school of social work (1998), as well as a M.S.W. from the University of Southern California (1982) with a concentration in community organization and public administration, and a B.S. in psychology from Portland State University (1976).